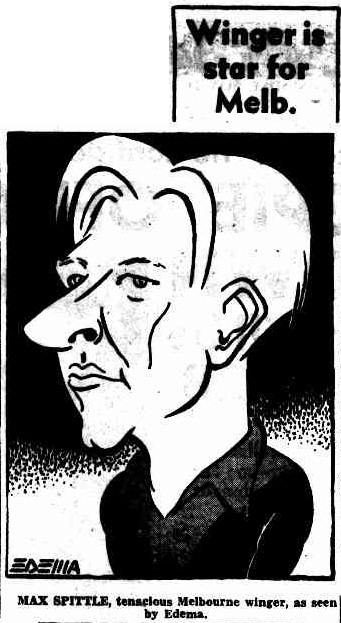 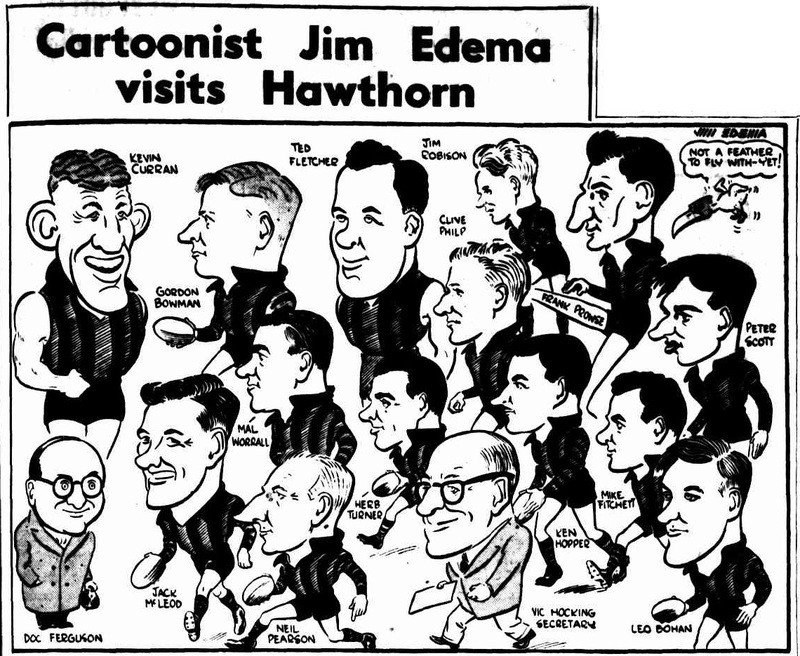 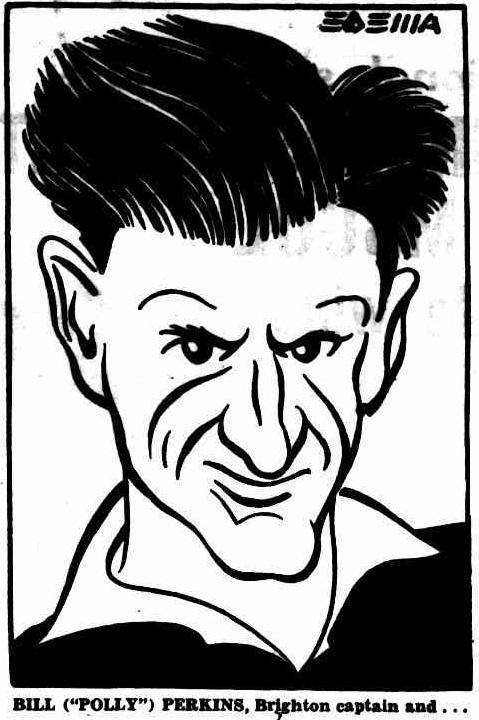 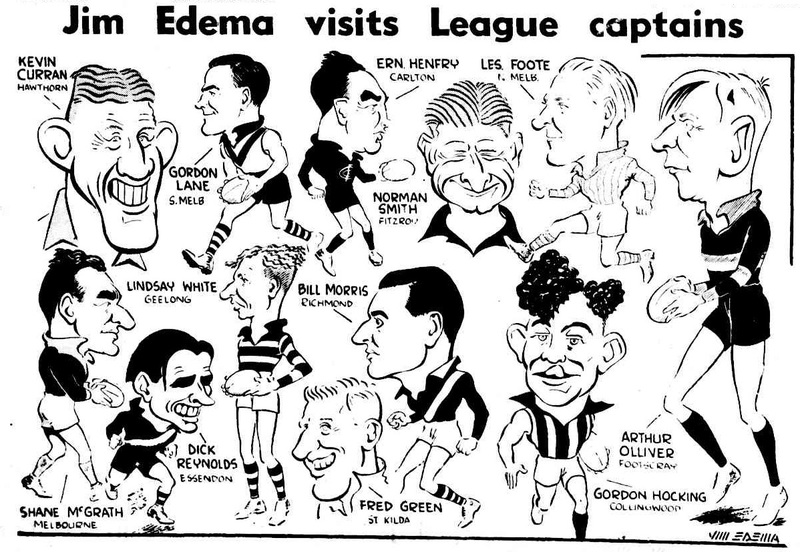 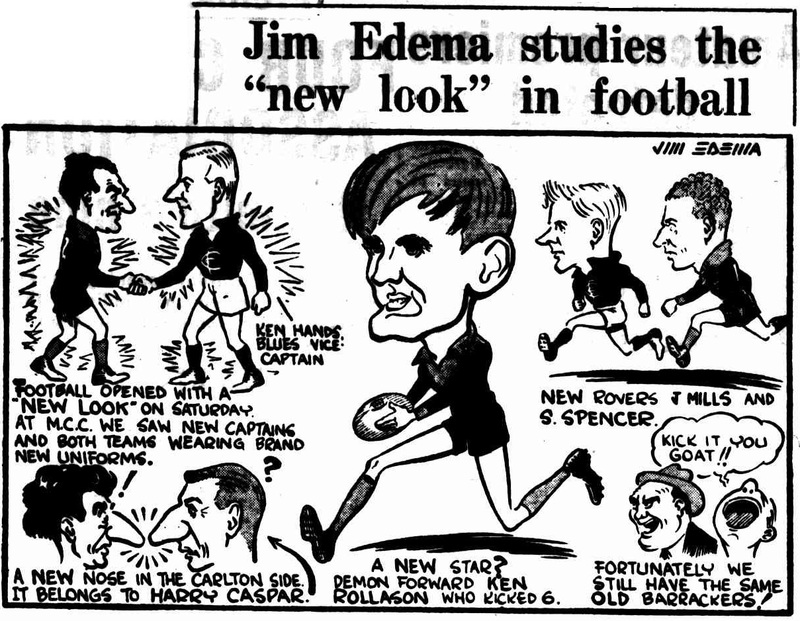 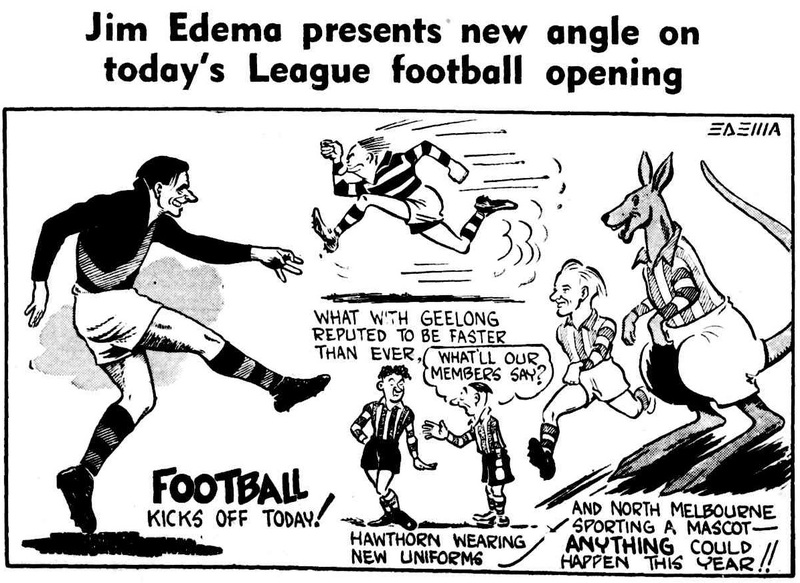 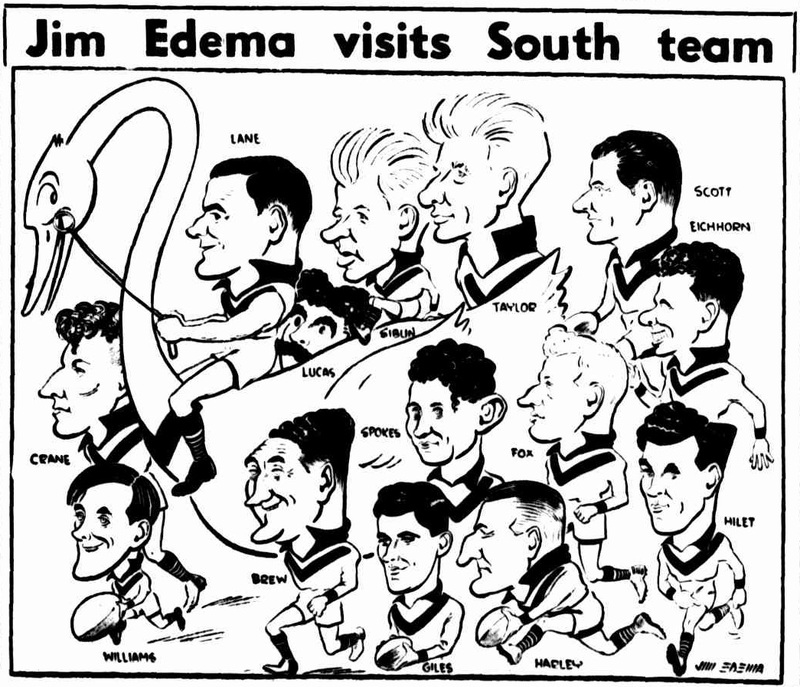 Jim Edema was a regular contributor to the The Sun News Pictorial (Melbourne), but in 1950 worked for the Argus. 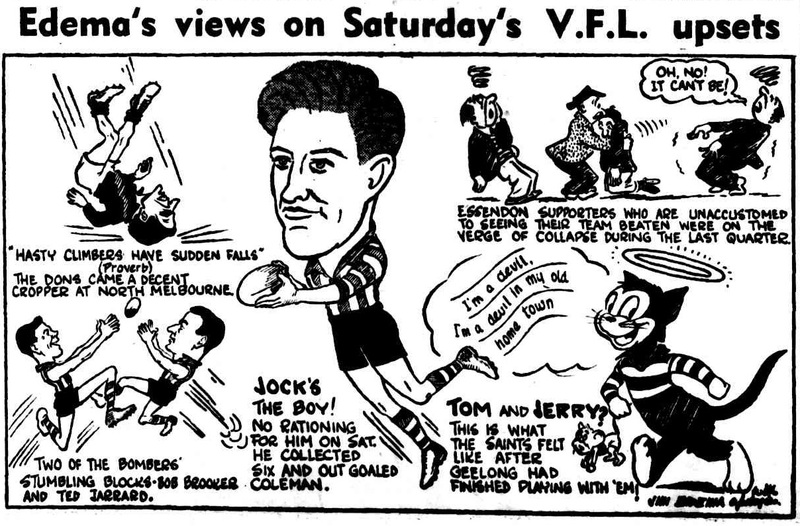 The images on this page are from the 1950 Argus. 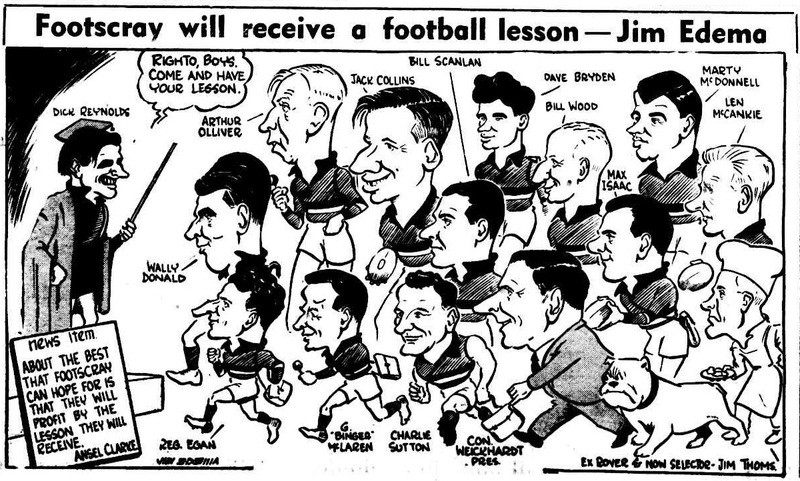 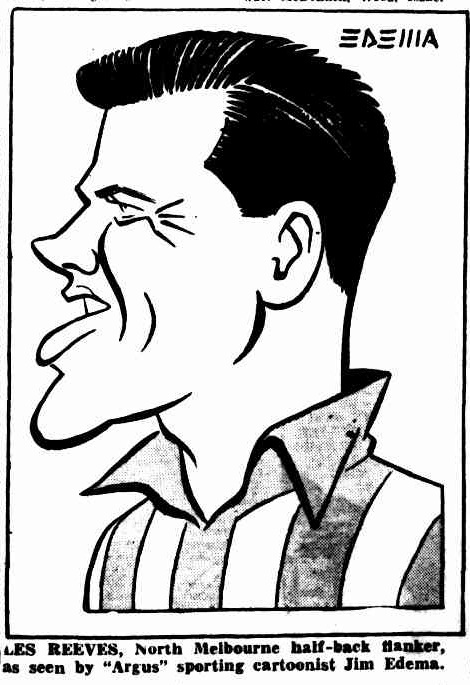 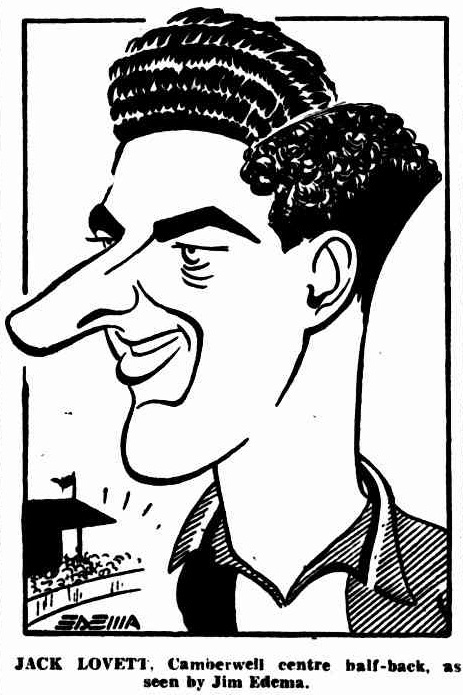 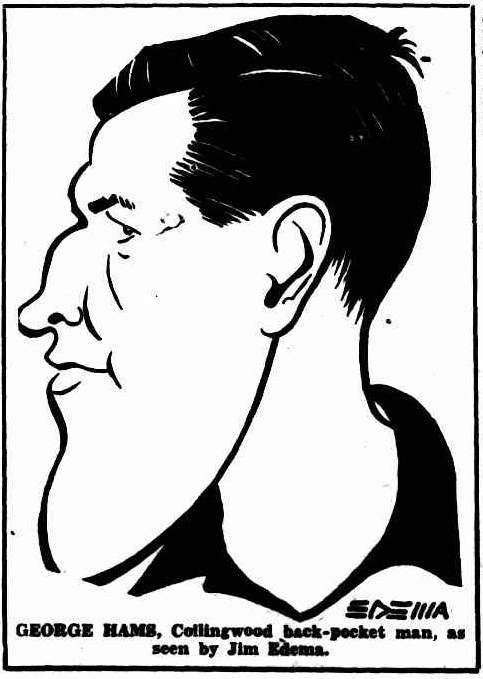 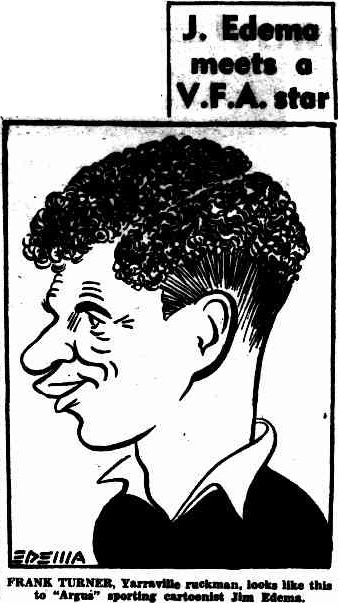 Just as photographers like Charles Boyles have left a precious legacy, cartoonists too have performed an important role in recording the football story. 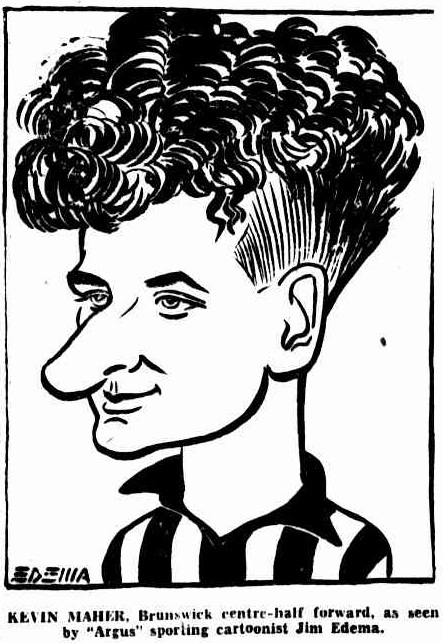 Each cartoonist has his or her own distinctive style. 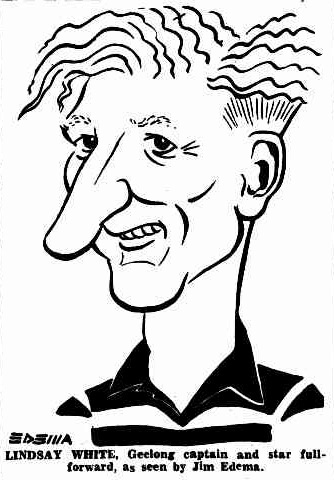 One of the purposes of this website is to identify the photographers and artists active during Charles Boyles's worklife. 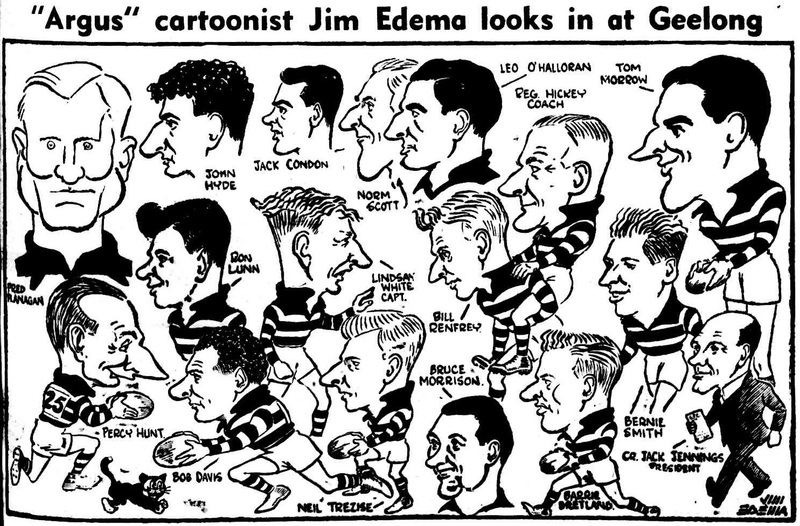 Highlighting the different styles and work of each artist assists with identification and attribution of unknown images, and provides recognition. 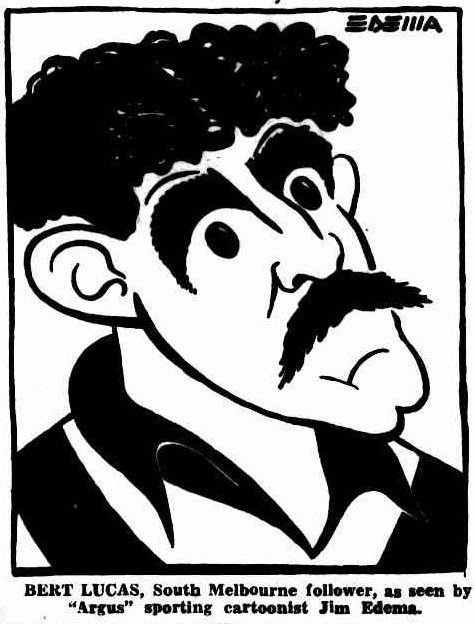 Many people today use images on the internet without knowing their source or providing relevant attribution. 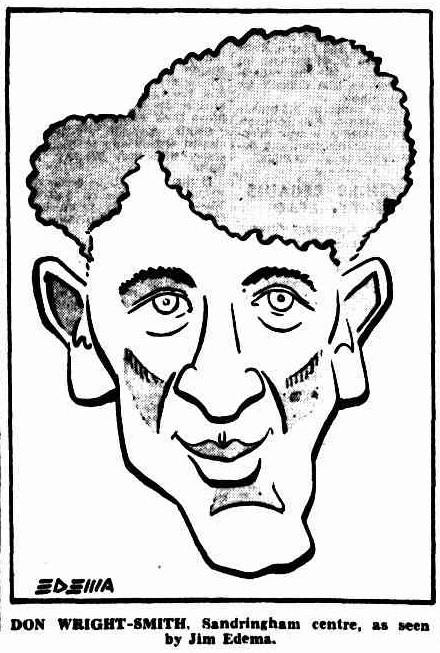 This site hopefully goes a small way to assisting in providing some credit to the artists of the period. 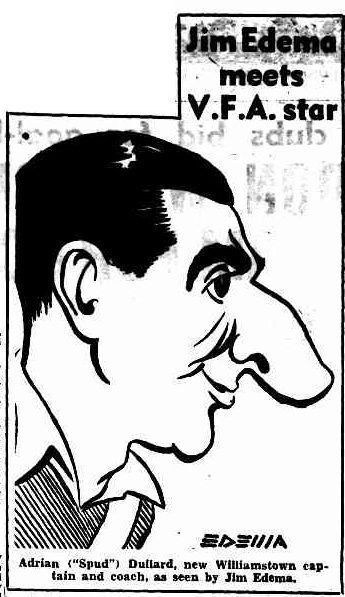 All images on this page were retrieved from the Argus newspaper using Trove (the National Library of Australia). 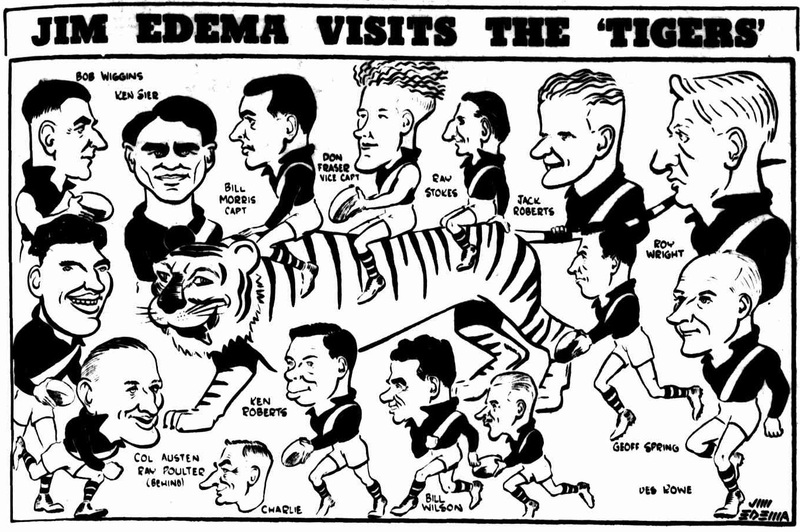 Links to the original cartoons on the Trove website should exist for all images. 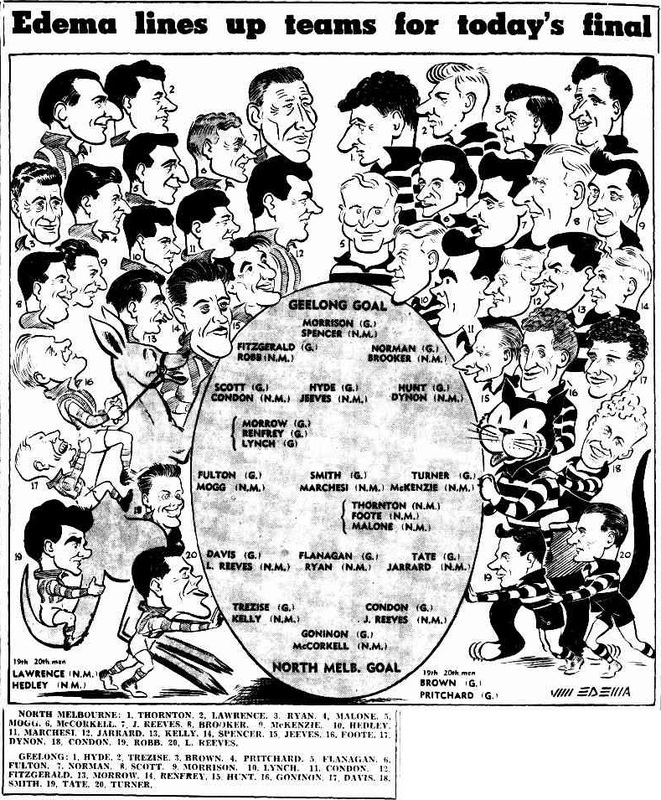 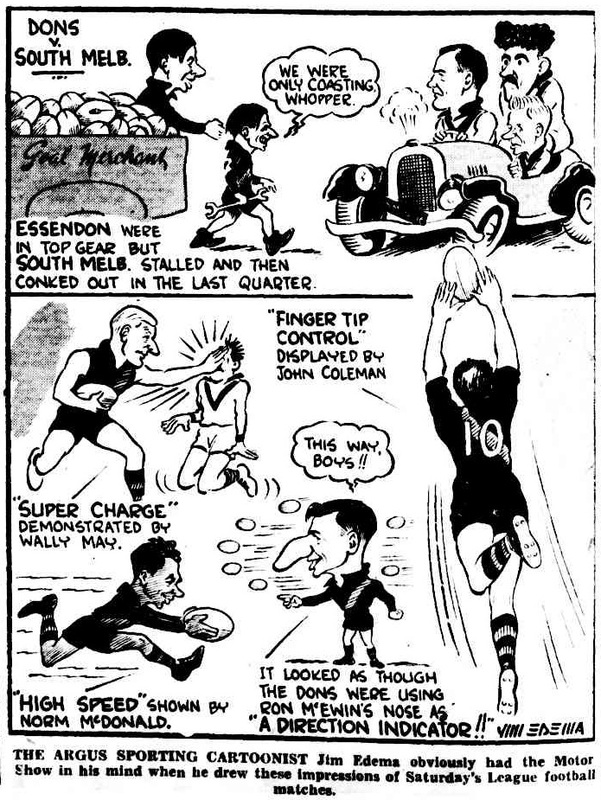 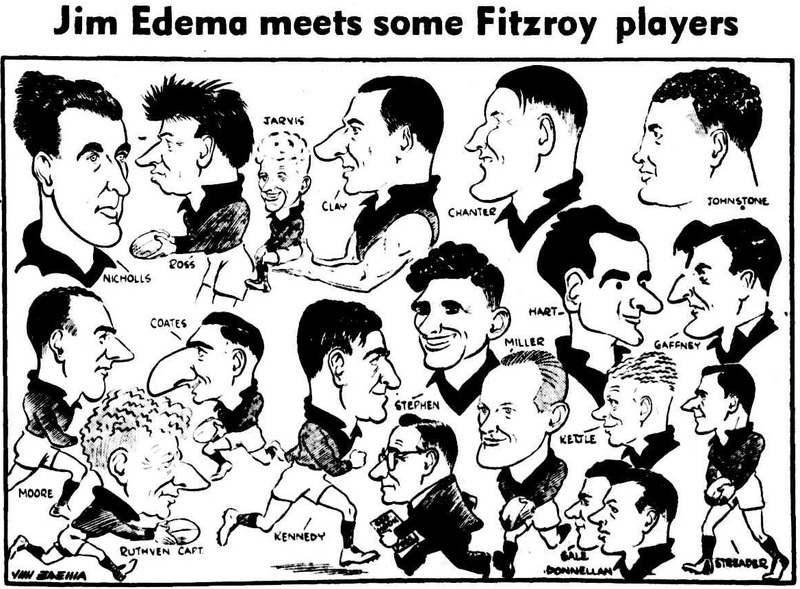 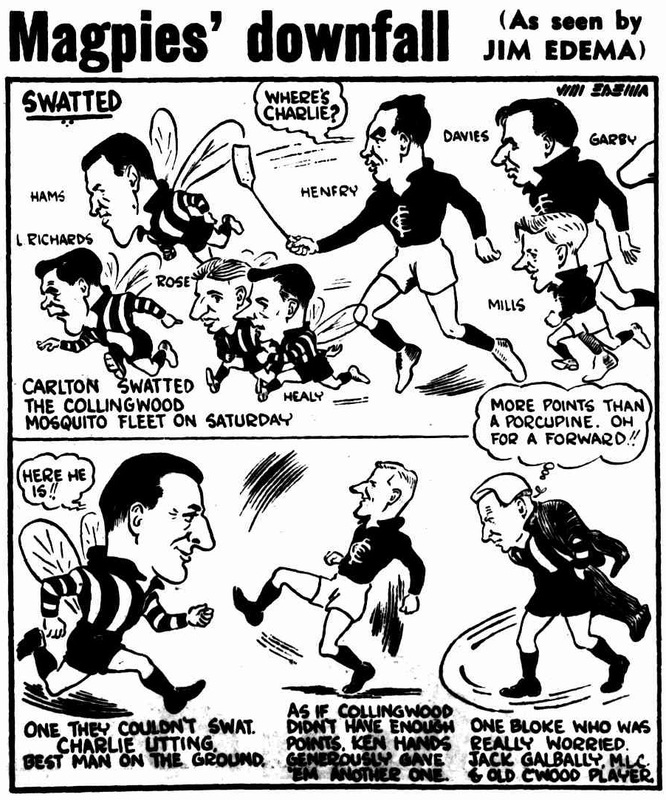 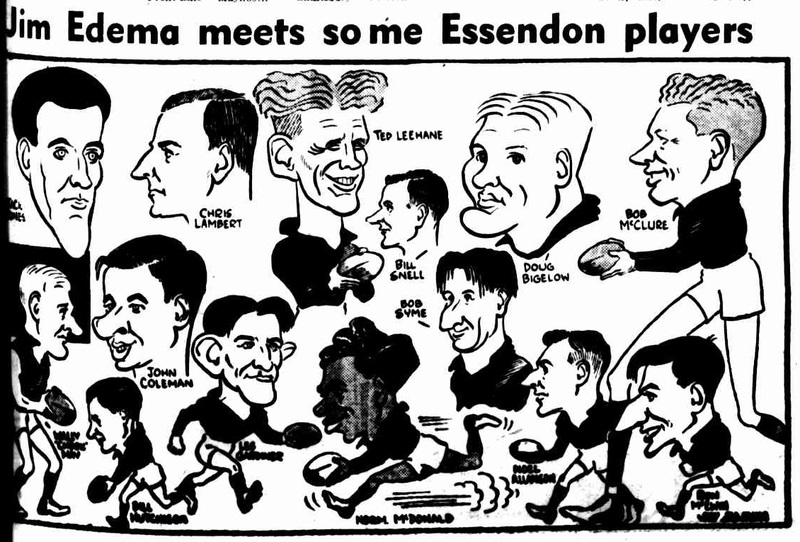 Essendon (VFL) were the 1950 premiers.